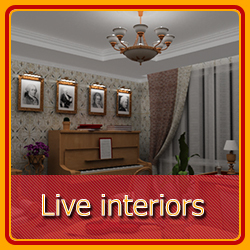 3d-visualization of your interior is creating a 3d model of inner volume of your place or even the whole future room. It is the unique opportunity of modelling the lighting (placement of lamps, choosing their intensity, forms of glowing etc.). The visualization of any interiors is necessary: 1. 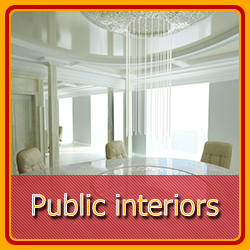 During the construction and interior finish to see and to understand how your future interior will look like, what finishing materials you should choose, what furniture and how it will look like in the very room etc. 2. For advertising: to organize a colourful presentation of your project. 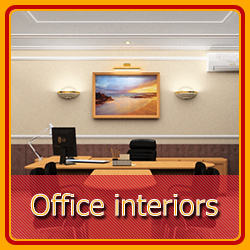 Creation of 3d-models and visualization of the interiors is one of our first activities, we have been doing it for quite a long time and we have a lot of experience in this sphere.